Blossom’s Vandouvan is a slightly sweet and smokey curry blend with a tantalising flavour which originated from the French colonisation of the Pondicherry area in Southern India. 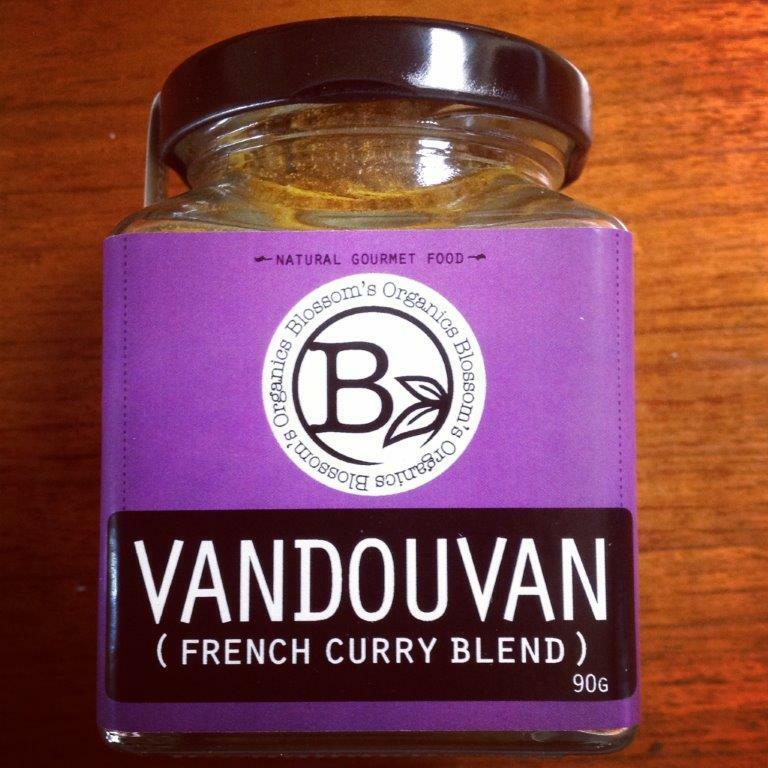 Vandouvan lends itself wonderfully to legumes, vegetables, meat and seafood both in curries and as a garnish. Ingredients: Organic – Cumin, Cardamom, Mustard, Turmeric, Fenugreek, Chilli Flakes, Cloves, Star Anise, Nutmeg. Category: Organic Gluten Free, Organic Vegan, Additions, Organic Condiments, Herbs, Spices & Salt.